Also Known As: “Hit down on the ball”. This swing thought encourages you think of the ball as an object that is to be trapped in between the club and the ground as you hit it. 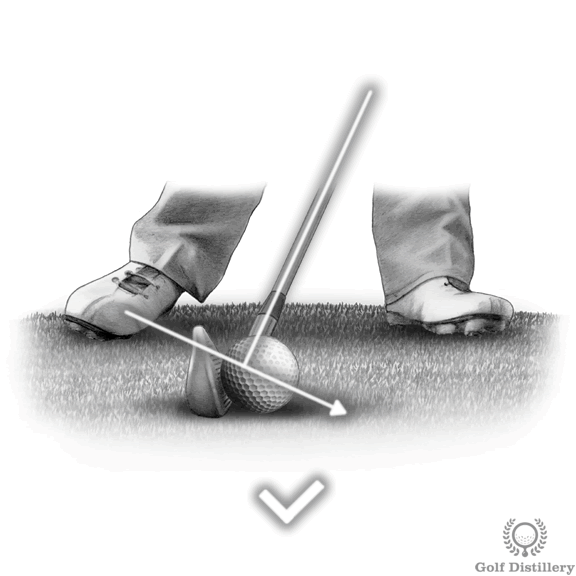 This is in contrast to thinking of the ball as an object that needs to be pushed up by the club using an ascending club path, also known as flipping the club or scooping the ball. Using the mental image of trapping the ball will encourage you to be hitting down on the ball, a key element of a good strike. Properly hitting the ball on a descending blow will also promote full shot distance and height. Furthermore, it will encourage a proper divot that sees the club penetrate the ground after it has struck the ball, a most crucial element to a good shot. Golfers who see thin shots show up into their game would be wise to use this swing key. Another swing error that could be fixed with this tip is those with early release of the wrists problem. Golf shots are best executed when the club gets to hit the ball first, in contrast to doing so after starting to dig into the ground. 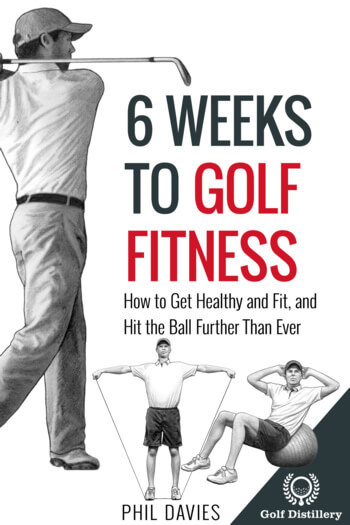 Indeed, fat shots – as they are called – occur at a significant cost to distance because the club is slowed considerably by the dirt it first needs to travel through in order to get to the ball. If you are able to adjust your swing to come down on a descending blow towards the ball – and in doing so trapping it – you are helping your chances that fat shots won’t occur. 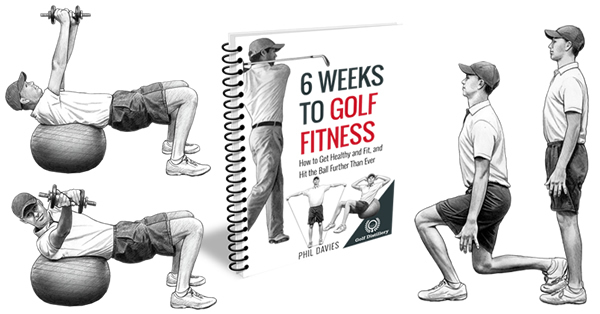 Many golfers wrongly assume that balls need help in rising from the ground and they forget that through the loft of the club alone, the ball will have no problem rising to its designated flying altitude. Striking down on the ball is crucial for ideal iron play, as well as for wedge play. It is particularly helpful for tricky pitches where hitting it fat will result in chunked shots. 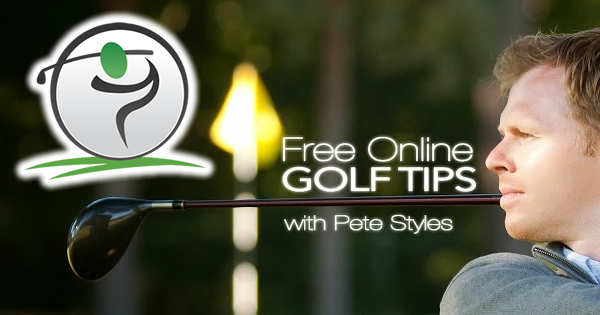 The advice promoted above is true for most but not all golf shots. Indeed, putts or balls in bunkers are not meant to be caught against the ground. Similarly, drives or similar shots hit using a ball that is placed relatively high on a tee will benefit from being struck from a clubhead that is ascending, not descending. For those shots, no trapping against the ground should occur.